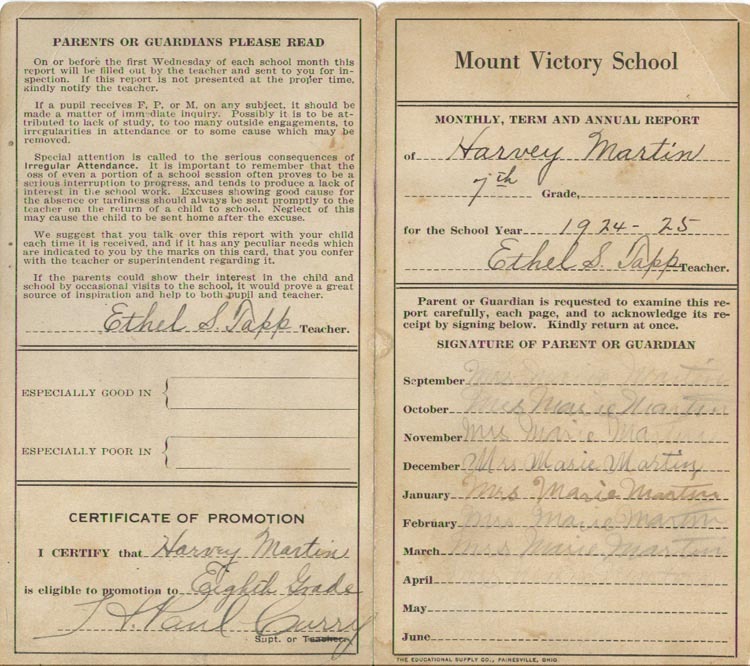 Monthly, Term and Annual Report of Harvey Martin, 7th Grade for the school year 1924-25. 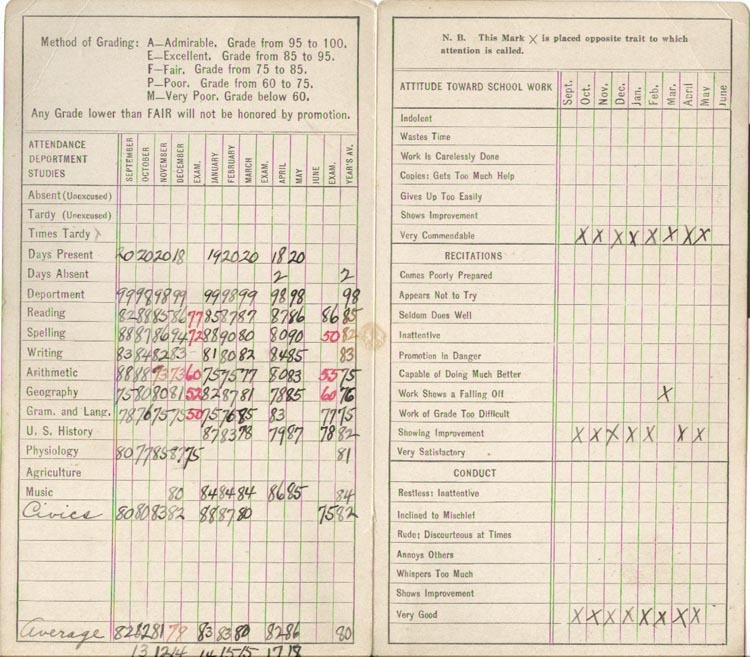 Ethel S. Tapp, Teacher. Signed by Mrs. Marie Martin.